After successfully weathering the storm of the global financial crisis, Israel is poised for continued growth. 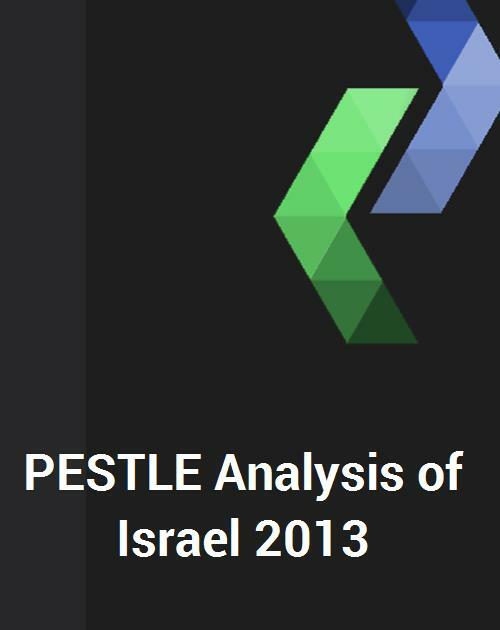 The Israeli economy is likely to experience significant progress over the next five years and reach an estimated $291 billion at the current price by 2018. Israel does not have peaceful relations with the Palestinian Authority due to issues prevailing between the two, regarding the borders and division of land and has high sovereign debt risk. The country, however, is expected to overcome these shortcomings and experience solid growth over the forecast period. changes on different industries in Israel. This report analyzes domestic and external economic trends, government policies, technological changes, and their impact on different industries. In the current economic scenario of the country, real estate, finance and insurance, accommodation, and food industry are likely to be most affected. As per the study, Israel has opened most sectors for foreign direct investment (FDI). With new economy policies, Israel is attracting more FDI. Technological factors in Israel play a crucial role in the economy. The government of Israel is also increasing spending on R&D for developing new technologies. The financial sector is the key driver of Israel's economy. Commerce, transport, and financial services are the leading industries in the economy. Israel's high per capita income is the driving factors for these sectors. Lucintel's study identifies biotech as a promising sector of the economy. Israel is set to play a pivotal role in the medical revolution. Many opportunities exist in this industry. This unique report will provide you with valuable information, insights and tools needed to identify new growth opportunities and operate your business successfully in this market. This report will save hundreds of hours of your own personal research time and will significantly benefit you in expanding your business in this market. In today's stringent economy, you need every advantage that you can find. - Know the business environment of the country using report's PESTLE analysis and their impact on industry. Also included is Foreign Direct Investment and Trade structure analysis. This study is intended for material suppliers, parts fabricators, investors, executives and consultants. This multi-client market study from Lucintel is used by small to multi-national Fortune 500 companies and utilized for a variety of reasons as follows. Figure 3.4: Quarterly trend index of industrial production and GDP growth rate.